The developer's mum has to spend 8 hours a day sorting these beauties into 9 different categories according to size, colour, shape and other attributes! Is it a use case for machine learning and automatic sorting? The system still cannot match Mum's expertise but is getting there. On an industrial scale Autonomy should close the gap as it gained credibility on partial fingerprint matching. I would say an ISV for the food supply chain should combine the case below and Autonomy for a complete solution. Given that Makoto Koike came from the automobile industry I can see a similar application for the auto repair industry. Motor insurance and vehicle panel repair costs time and money to identify the panel part no. required to replace damaged panels. The owner has to get car to an auto bodyshop, a mechanic inspects the degree of damage to asses if it's a repair or replace matter. If latter, the part is ordered and the car booked in later adding time and cost for the insurer, customer and intermediary. Couldn't a system have the car owner take photo, video of the damage, send it as part of the digital claim management system to be analysed by technology like Autonomy to identify the right part number order and arrange the repair day? Probably less complex than sorting cucumber attributes every day! It’s not hyperbole to say that use cases for machine learning and deep learning are only limited by our imaginations. 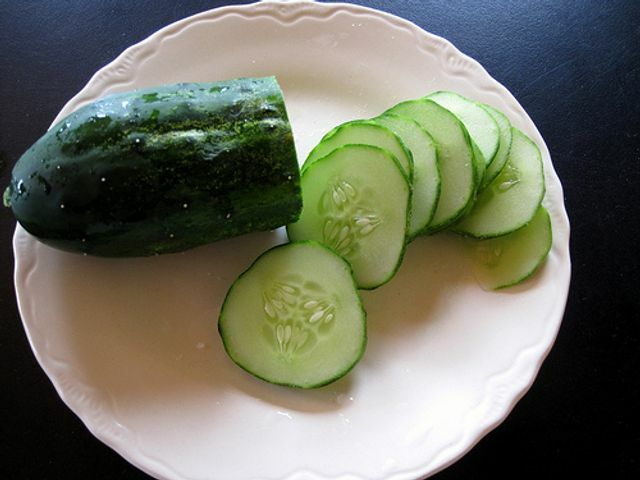 About one year ago, a former embedded systems designer from the Japanese automobile industry named Makoto Koike started helping out at his parents’ cucumber farm, and was amazed by the amount of work it takes to sort cucumbers by size, shape, color and other attributes. Cucumber Classification with #TensorFlow - FTW!